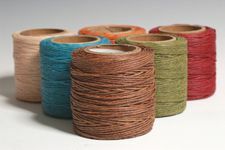 Size 207 waxed polyester thread on 70-yard tubes. This size's diameter is 20/1000 (0.020) inch / 0.5 mm. Roughly 1/2 the thickness of a U.S. dime. 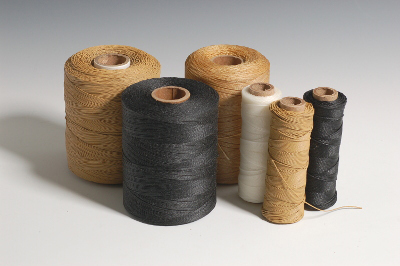 Size 415 waxed polyester thread on 70-yard tubes. This size's diameter is 30/1000 (0.030) inch / 0.8 mm. Roughly the thickness of a U.S. dime. 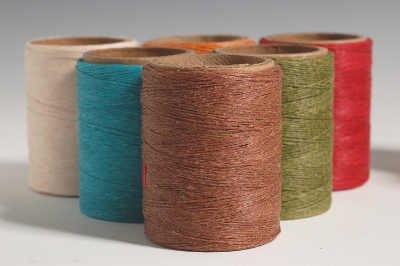 Size 554 waxed polyester thread on 70-yard tubes. This size's diameter is 50/1000 (0.050) inch / 1.3 mm. Roughly the thickness of a U.S. nickel. 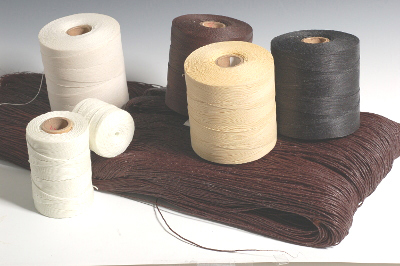 Size 277 waxed nylon thread on quarter-sized, 24-yard coils for hand sewing. This size's diameter is 25/1000 (0.025) inch / 0.6 mm. Roughly 2/3 the thickness of a U.S. dime. 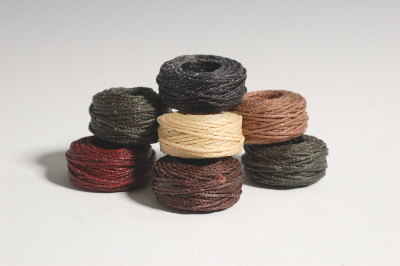 Size 415 waxed nylon thread on quarter-sized, 12-yard coils for hand sewing. This size's diameter is 30/1000 (0.030) inch / 0.8 mm. Roughly the thickness of a U.S. dime. 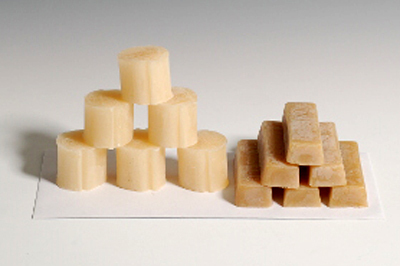 Use our beeswax to make any thread into a stiffer, stronger, more water resistant waxed thread. Available as single cubes or 3-packs. 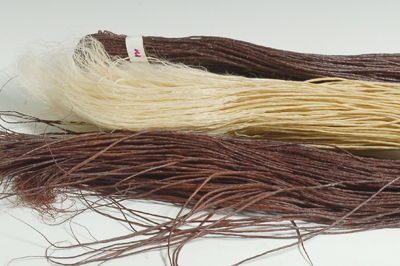 Embalmer's thread is a tightly twisted thread used for taxidermy, leatherwork, shoe repair, and, yes, preparing the dead. It comes in 2-ply (Size 207) and 3-ply (Size 346) thicknesses. 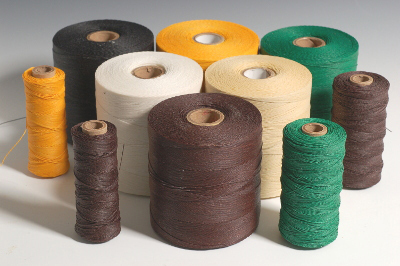 From Belfast Ireland, Henry Campbell waxed polyester thread. Available in tubes from 1 ounce to 16 ounces. 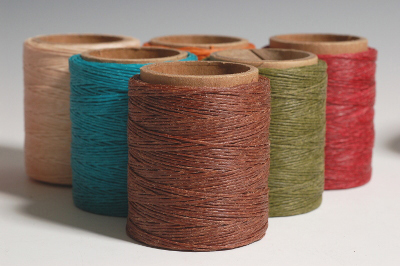 Ludlow waxed cords in 24-cord bundles. Great for hand sewing. Cord lengths vary from 30 to 60 inches. 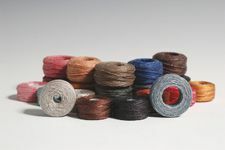 Save with our large waxed thread rolls. Perfect for small businesses and avid sewers..